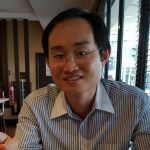 Specialised vending machine providers and operators have emerged in Malaysia and are tapping into consumer demand for greater convenience. At the recent Malaysia Halal Expo 2019 in January 2019, Rezza, the maker of instant food and ready-to-eat (RTE) meals from Malaysia, has unveiled its first ready meals vending machine cafe. The vending machine comes with a screen for product advertising, a microwave oven for heating up the meal and a payment system that accepts payWave, WeChat, Touch ‘n Go and cash. 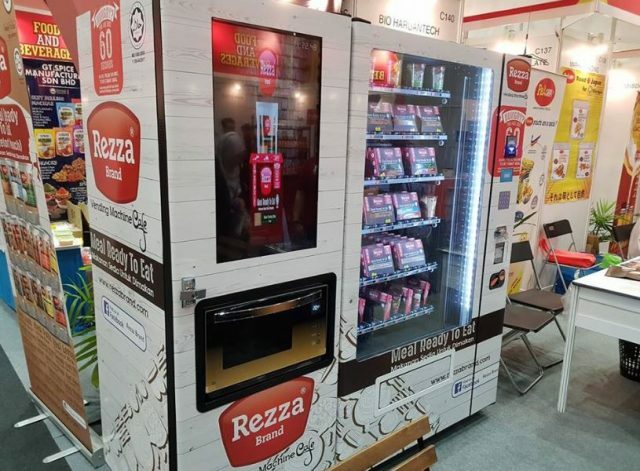 Rezza, the maker of instant food and ready-to-eat (RTE) meals from Malaysia, has unveiled its first ready meals vending machine cafe at the Malaysia Halal Expo 2019 in January 2019. The vending machine comes with a screen for product advertising, a microwave oven for heating up the meal and a payment system that accepts payWave, WeChat, Touch ‘n Go and cash. The Rezza RTEs include Nasi Lemak, Ayam Masak Merah (Red Chilli Chicken), Bihun Goreng (Fried Noodle) and Chicken Curry and White Rice. The vending machine allows users to pick and choose the product range based on consumer demand without necessarily stocking up only with Rezza products. The vending machine targets high-volume places such as hospital and institutions of higher learning where the demand for RTE is potentially high.